Christmas Carol Project — Danielle Townsend Design Graphic Design and Brand Identity Design Dublin, Danielle Townsend Design is a Graphic Design and Visual Thinking agency based in Dublin. The Christmas Carol Project is the first collaborative project from the design collective The Lone Rangers. The idea is to support Childline who had recently had to close it's 24 hour service due to funding shortages. We each took our favorite carol and visually represented it. Mine is The Little Drummer boy. 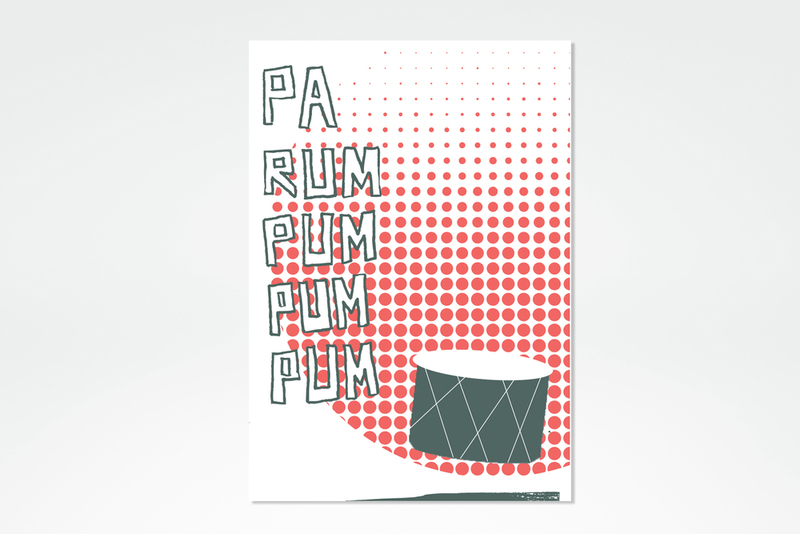 For me this song is all about the chorus...Pa Rum Pum Pum Pum! It in some way represented the repetitive nature of some parts of the holiday, food, shopping, socialising and more food! Having listened to the song endlessly I counted the chorus which repeats 18 times!! 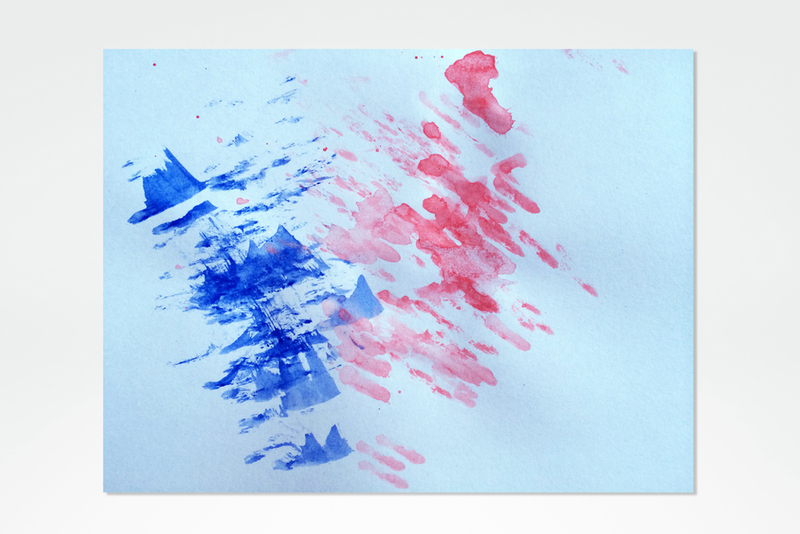 I worked with this concept of repetition, and actually played the song with paint-brushes as drumsticks (loaded with blue and red paint - see the images above). Then added 18 drumsticks to complete the concept. I created several visuals around this concept ahead of the final. The final cards are printed on beautiful munken pure paper using 3 colour risograph, and come with festive red envelopes. You can see all seven in the images above. 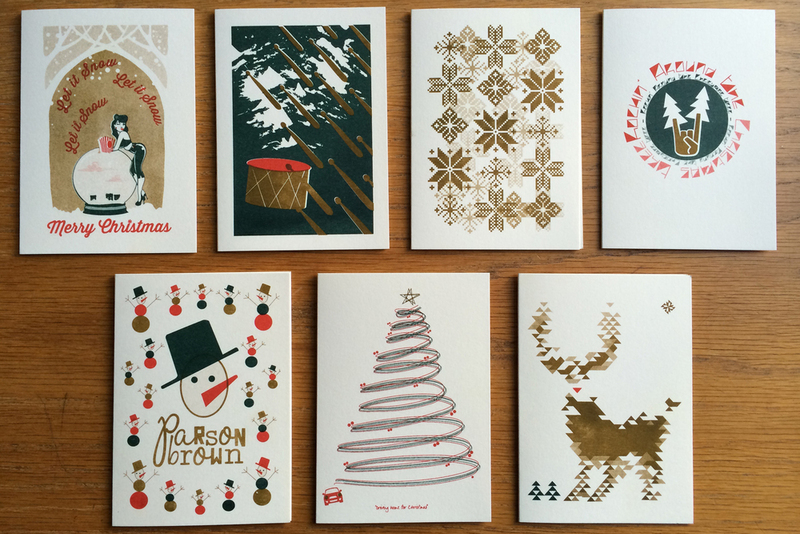 We are selling packs of 7 (1 of each design) of the cards and 100% of the proceeds go to Childline. All costs associated with the project have been covered by the members of the collective. We are hoping you will be generous! We are asking for a minimum of €10 per pack – remember they are limited edition and for a super cause! Email info@danielletownsend.com or go to thelonerangers.net for more information. The Lone Rangers is a design collective based in Ireland. We are a group of design practitioners who felt they could benefit from a having a group of like-minded creatives to bounce ideas off and share experiences.